The processes in the first 3 stages are well defined. The post close execution process is well defined for back office business processes and for some of the initial product and facility integration, but this stage will usually have a life of its own. We have seen significant variations in approach from company to company as well as a lack of consistency in approach from organization to organization inside of companies. This may be partially a result of the belief that every integration is different and that the requirements for cultural integration are unique. While it is true that unique circumstances will exist, there is a need for a consistent approach to integration, cultural alignment and business process optimization. Typically, stage 4 is completed after the first 100 days when the external integration teams have completed their work. Functional processes have been combined, functional organizations have been aligned to the acquirer’s systems and the first phase of human resource integration has been completed. Even with this work complete, employees are still faced with uncertainty, have a lack of familiarity with each other’s businesses and are just learning the objectives of the new entity. Teams from the combined entities are just learning to work together and there remain many business systems and processes that have yet to be integrated and optimized. The focus is now turned to operational objectives, while attempting to deal with post integration issues that still exist. The operating team is now dealing with twice as much work, which is further exacerbated by the need to perform. This is the time in which mergers and acquisitions typically go awry. The focus on completing the integration task is gone. The organization has accepted “good enough” and leadership team has pulled the plug on the incremental resources required to complete the integration task. Given these challenges, companies should consider adding a fifth stage to the M&A life cycle. Stage 5 should be focused on alignment and optimization. Once the acquisition or merger has been completed, and the initial integration work of stage 4 is completed, Stage 5 begins in earnest. The next 12-18 months are critical for the success of the transaction, and most organizations don’t put enough emphasis on this stage. Stage 5 is a dynamic process that provides leadership team of the integrated company with detailed plans and resources to support optimizing the integrated entity. These plans will include business process re-engineering and continue on with the integration management office/team. A properly defined and managed Stage 5 will have a road map with milestone reviews every 2-4 weeks. During these reviews, integration issues and Key Performance Indicators (KPI’s) are reviewed along with the progress of the development plans that have been outlined. It is important during each review to identify modifications to the plans and integrate new objectives into the organization. These reviews and planning activities are critically important to providing a team approach to newly defined organizations and their leaders. It is this approach that begins to gel the new culture of the defined entities. 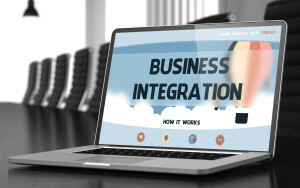 Only when the integration and optimization of the business processes are complete and fully ingrained into the organization will the mergers and acquisitions realize their full potential.